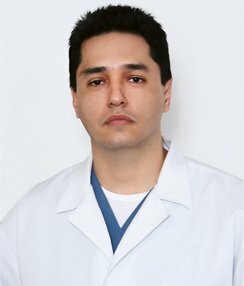 Dr Antonio Moreno is a surgeon plastic, with more than 17 years experience in your profesional field, offering all knowledge, honestic, and ethics to each of the patiens who visit him in the city of Cali, Colombia. Surrounded by a full profesional medical team formed by anesthesiologist, internist, dermatologist, maxilofacial surgeon, rehabilitation dentist, assistant, and personalized nurse, acomplished, in each operated patient, the more safe, pleasant and convenient experience possible. It has technologhy, with highly qualified human a clinic with the international safety certifications, and hotel for the recovery of their patients. Physician-Surgeon: University of the Cali, Valle, Colombia. Plastic Specialist in Esthetic Plastic and Reconstructive Surgery: University of Cali Valle. Teacher of Plastic Surgery: University Hospital – University of Cali Valle. Plastic Surgeon Asistant: University of Cali Valle. Member of the Board of Colombian for plastic surgeons. Member of Colleges of Plastic Surgeons in Colombia. Member of Latin American Federation of plastic surgeons reshaping. Member of International Plastic Reconstructive Aesthetic Society (IPRAS). Plastic surgeon of the Centro Quirurgico De La Belleza (CQB). Plastic surgeon associated with the medical center Imbanaco(CMI). The Sultana del Valle is a city of great spaces for tourism and recreation. From places of historical value to spaces for the night and day night, they make Cali, the mecca city of tourism. Santiago de Cali has an important economic and recreational offer, both for visitors and for its permanent inhabitants. We have an exclusive SPA hotel located in the clinic facilities of the surgical beauty center in the city of Cali, Colombia. It is the ideal place to host patients who come from abroad and from other cities in Colombia. In this way, your post-operative stay and recovery is easier.